God is our Savior, and our hope is in Him throughout the day and night. 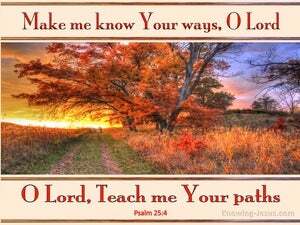 How important therefore to learn the ways of the Lord. 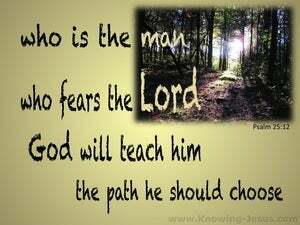 How vital to discover which paths He would have us to follow. 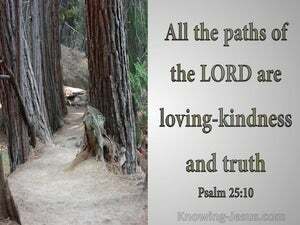 And the Word of God is a light to our path and a lamp to illumine the way that God would have us tread. The Word of God is an instruction manual to teach us His ways, as well as a love-letter to all His children. The man that fears the Lord is one that has come to some understanding of the immensity of God’s grace and what His holiness, justice, peace and love really means, in relation to sinful humanity and the fallen creation.